It’s so true. Waves come and not always when you expect them or how you’d like them. If you keep a positive attitude and keep believing in yourself you’ll survive all the waves and be ready for your wave. Opportunity isn’t always obvious. Often you have to take risks and/or make sacrifices both of which are easier with a positive attitude. 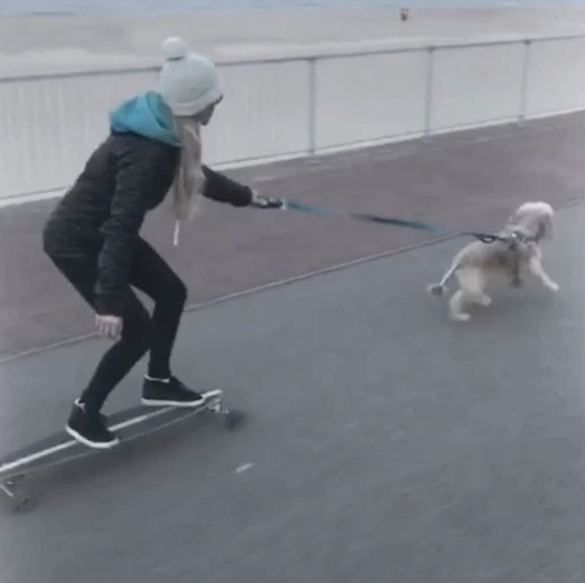 Cat’s in the UK where she’s skating to help with her surfing. 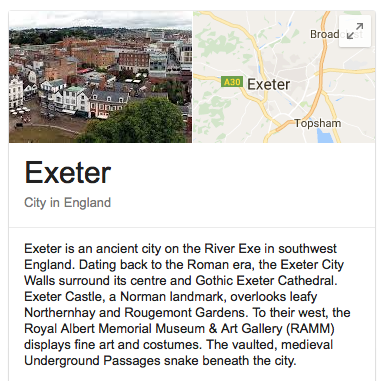 Where are you having fun skating? Hope you take the time to share so others can be inspired to try. 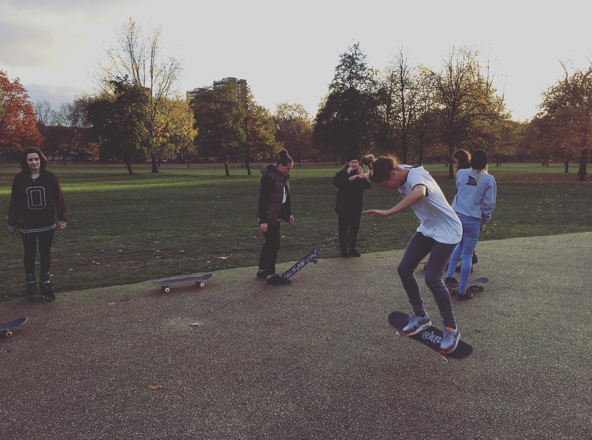 Lnr Viola shares this skateboarding video. 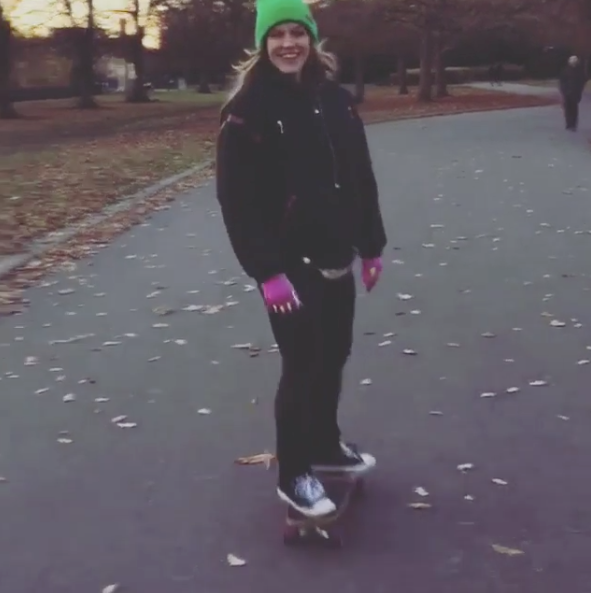 Love how she keeps it stylish & warm while skating. 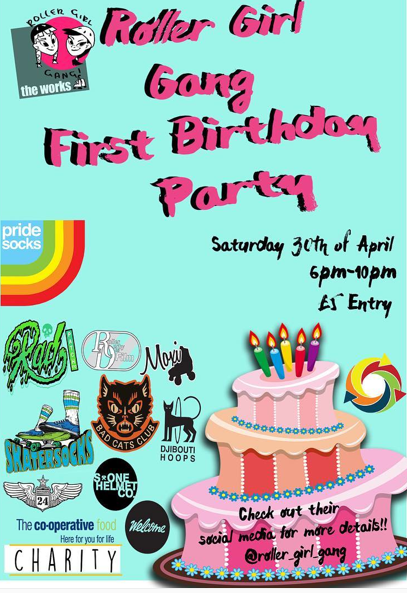 In addition to loving skateboarding, she loves soul, funk, reggae and rock. 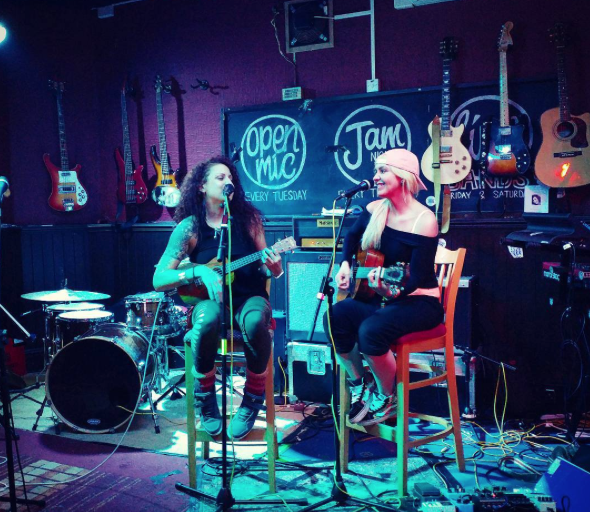 She’s the owner of LNRmusicmanagement Festival & a singing teacher. She definitely inspires girls to follow their passions and stay true to their style. 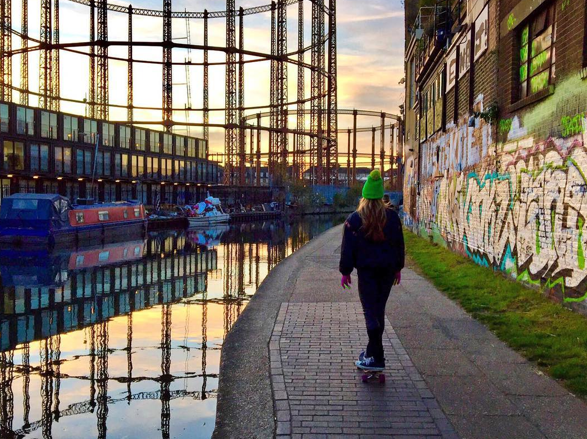 More girls skateboard when they see stylish girls skateboarding. And I love when they also share their other talents. 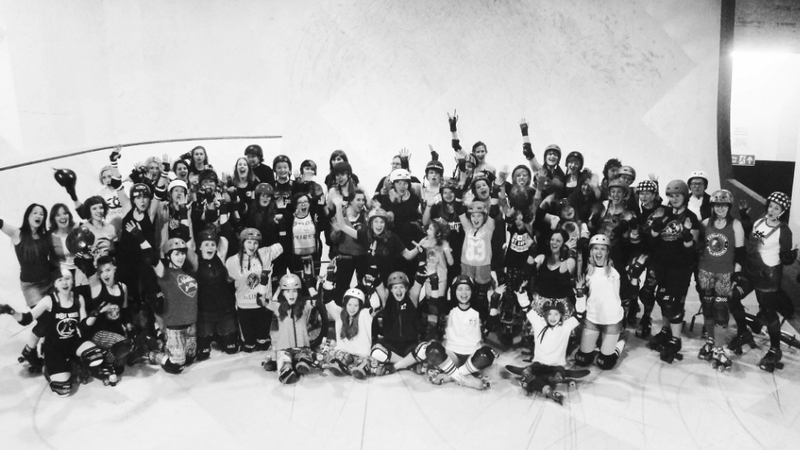 #girlscanskate and do so much more! Where & how are you keeping it stylish on & off the board? 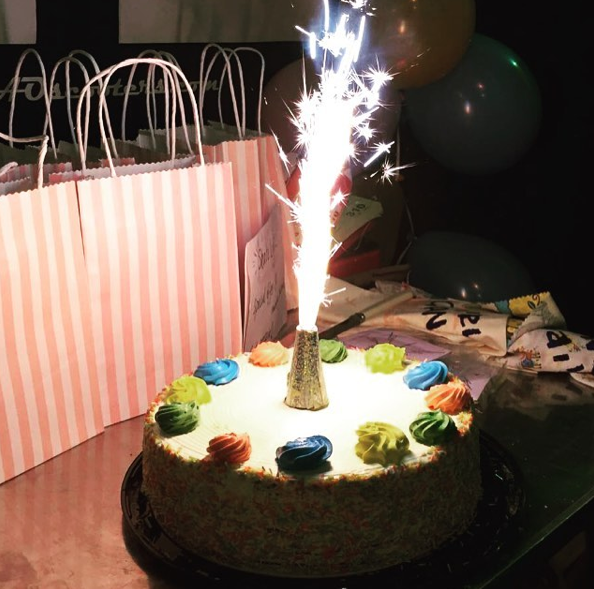 Hope you share soon. 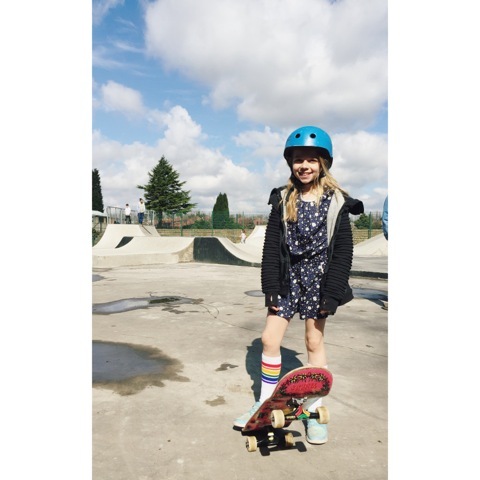 I loved the style in Teresa Madeline’s picture so I asked her why she likes to skate and why she thinks skateboarding is good for girls. I like to skate because it gives me an opportunity to express myself. It has also brought me countless amazing friends from all over the world and it’s great exercise, much more fun than going to the gym. I also think it gives me a new way to explore places that I visit and see things I never would have seen otherwise. 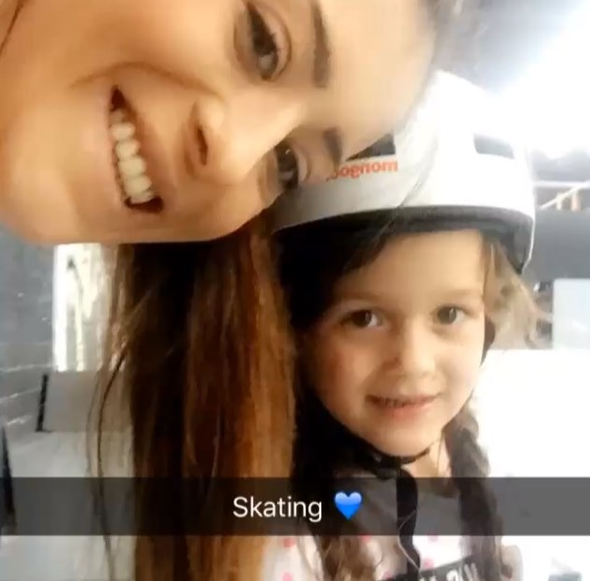 I think skating is great for girls because it gives you a sense of freedom and helps you to learn to be fearless, to accept failure and try again. 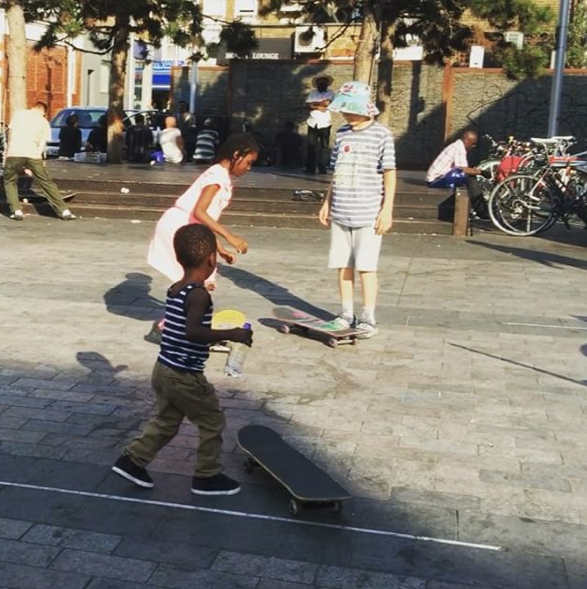 Skateboarding helps you prove to yourself that if you put your mind to something and try, try and try some more, you will eventually succeed. Thanks Teresa Madeline your answers like your picture are exquisite. 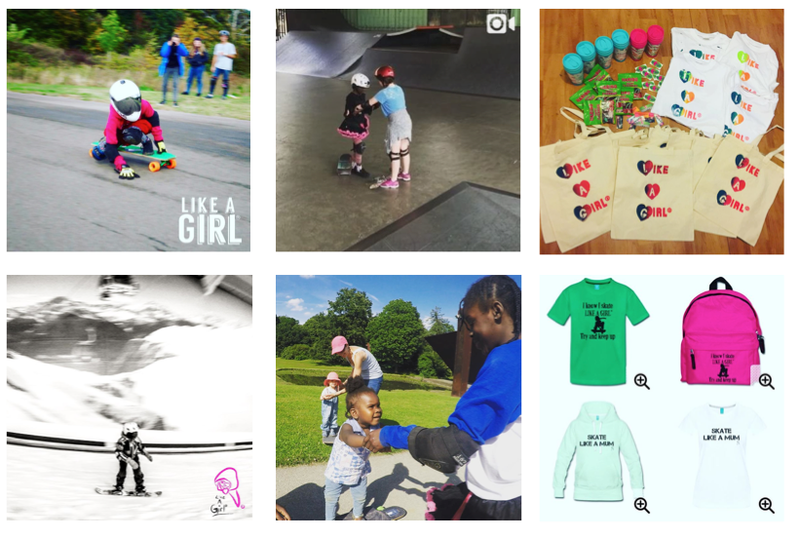 When I started this blog all I knew is that I wanted more girls to skateboard for fun and wear what they wanted. To me skateboarding is sport, art, transportation, exercise, and self-confidence building so I wanted other girls to benefit from it. Everyday I’m amazed at how many girls around the world are willing to share how skateboarding is fun for them and how it helps them. 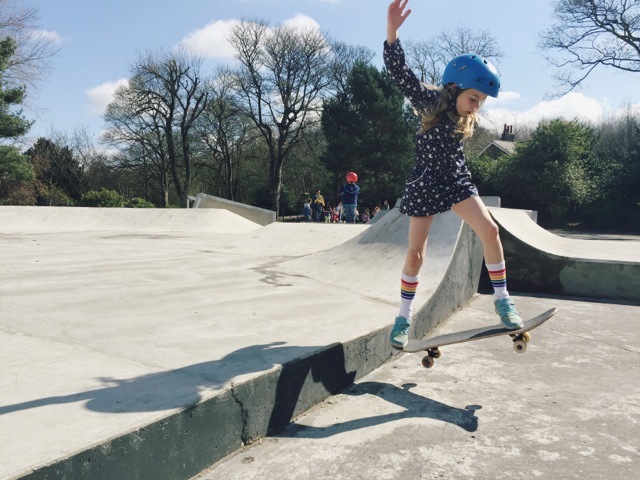 More girls do skateboard as they see girls having fun skateboarding, staying true to their style, and getting encouragement. I love the smile on Naomi’s face in this video from Victoria Park. A smile is the most stylish accessory anyone can wear. 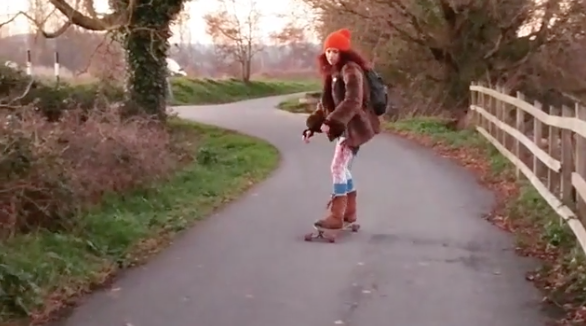 In the video Naomi’s on her new mini cruiser. 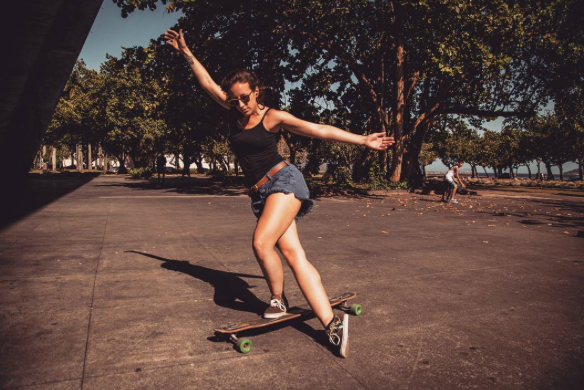 She also enjoys longboarding plus a lot of other sports including cycling, she’s an instructor at Boom Cycle. 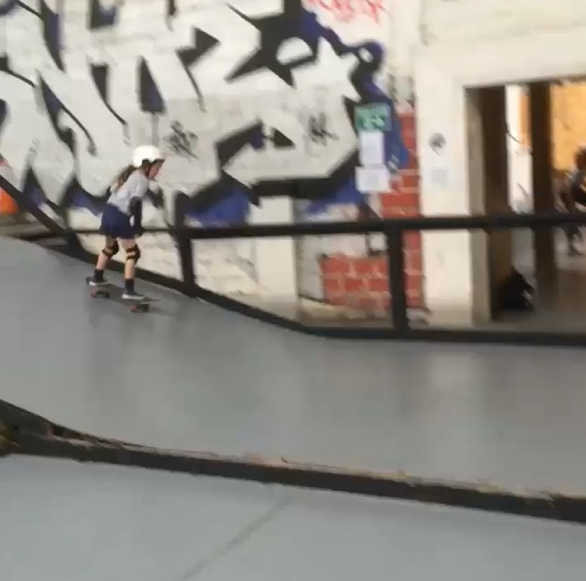 I started skating a few months ago and I’m having so much fun with it. It’s the best feeling when you begin to notice your own progress. 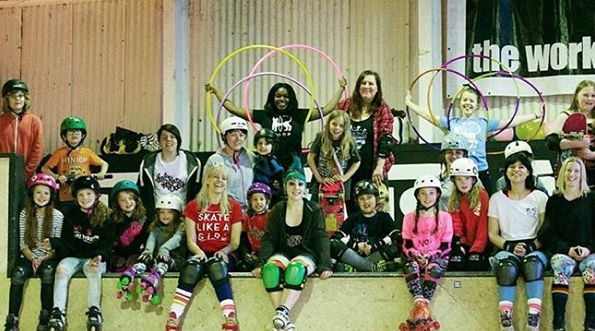 More girls should get out there and try it, it’s never too late to learn new skills. I love it because I’m transferring all my board skills together (wake, surf and snow). 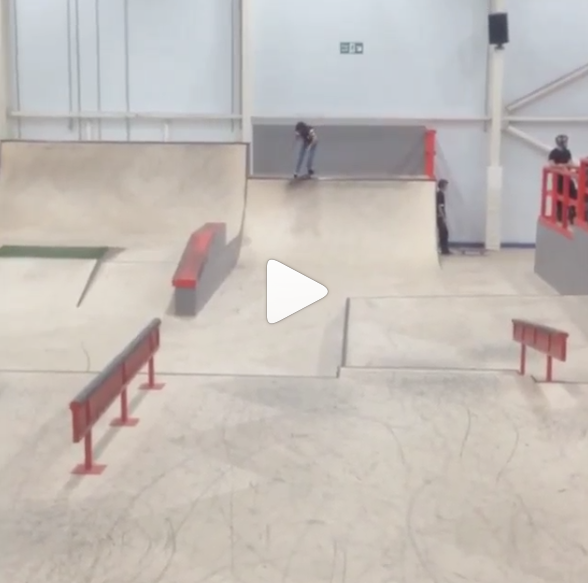 I’m hoping all this skating is going to make me a better snowboarder 🏂! Let’s see when I hit the slopes this season. As someone who believes skateboarding is sport, art, transportation, rolling yoga and build self-confidence, I have to believe that it would help with all your board balancing. 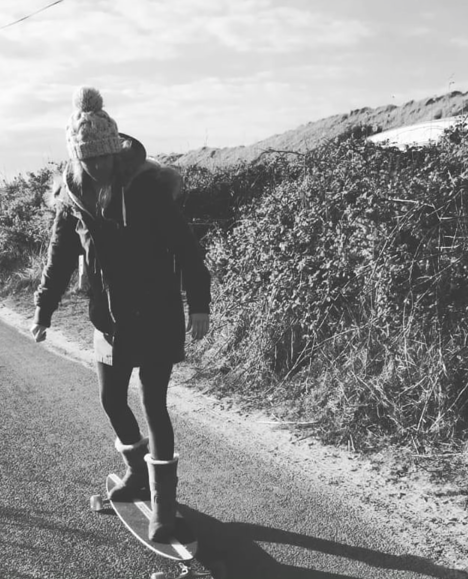 Be sure to check out Naomi to see where she goes on her skateboard and how it improves her skiing. I can’t believe I waited 29 years to jump on a skateboard. Every minute of every day, we are all a little bit closer to dying. Don’t waste any more time wishing you’d done something, just go and do it! Don’t worry too much, don’t over think things, take those risks, make those mistakes. It all makes us stronger, enriches our souls and helps us grow. In the end, we will only regret the chances we didn’t take. 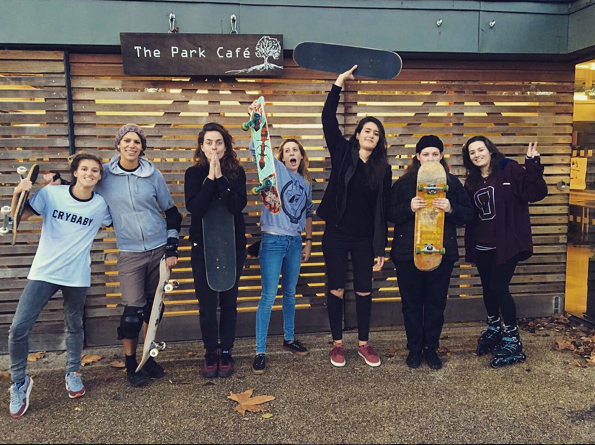 Thanks Naomi for sharing – more girls skateboard when they see girls skateboarding and hear that it’s always the right time to try something new. Better to try and know if you like something then to wonder what if! 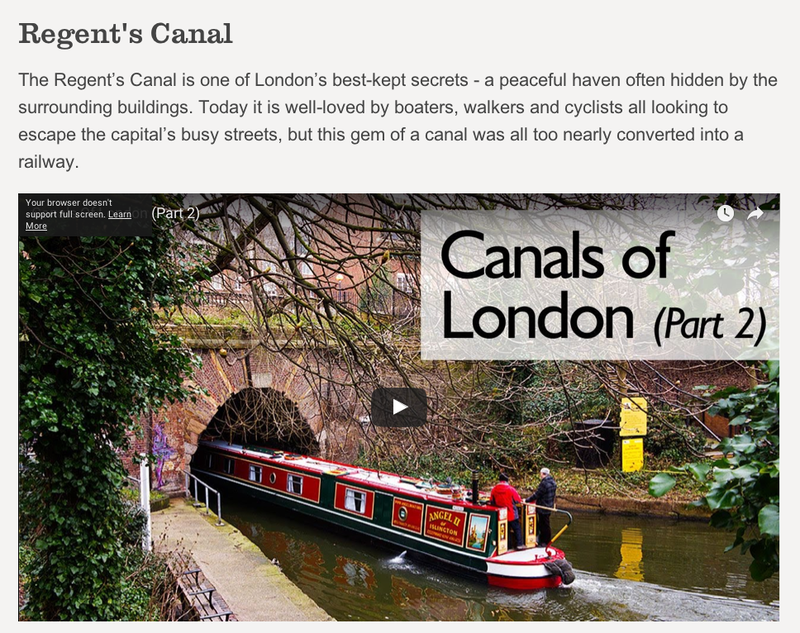 Thanks too for sharing Regent’s Canal – some secrets are meant to be shared.